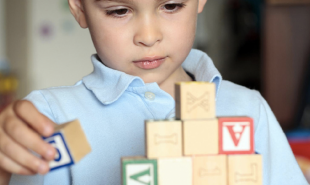 One in 68 children in America has been diagnosed with Autism, and while the neurological condition is incurable, there are a number of treatments available. These include occupational therapy and applied behavior analysis, which can address the behavioral and physiological symptoms, improving the quality of life for sufferers. We have seen a number of clinical support software solutions such as Ginger.io use big data to help improve mental health treatment, and now Nightingale is another such platform which integrates data and comprehensive analysis to help clinicians provide the best care to autism sufferers. Nightingale was created by the San Francisco based start-up of the same name. The platform comes in the form of an app which can be used on any iOS, Android or Windows device. Clinicians begin by creating patient profiles and inputting their patient information into the program. They create a digital database, enabling them to easily track, add to and share patient progress with other team members, as well as children’s parents. The caregivers then collect behavioral data — such as how well the patient completed a task or how they reacted physically and emotionally to interaction. This data can be inputted even when offline and later uploaded to the cloud. Nightingale then integrates the latest behavioral analysis tools and creates anecdotal and visual analytics in the form of journals and graphs. Clinicians can then gain and share insights in real-time. Nightingale is available for USD 15 per client per month and special pricing is available for non-profits and public school districts. Could this technology be used in other areas of mental health treatment too?